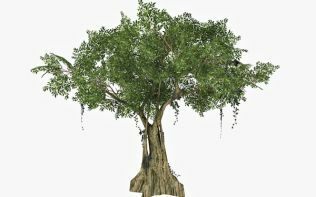 Tree[d] - an open source 3d tree generator. This is an excellent low poly tree generator with lots of option create various kinds of trees for games and 3d applications. It seems the author of this software have discontinued and the site is no longer functional. 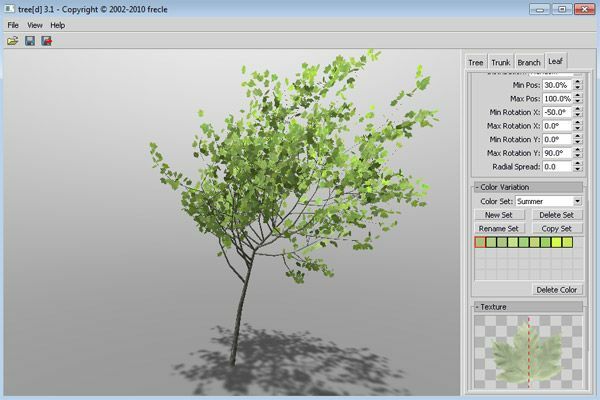 This little app runs on windows and has the ability to export trees in OBJ, X and B3D formats. Settings to control the trunk, branches and leaves. Custom texture for bark and leaves. Create leaf textures for different seasons. 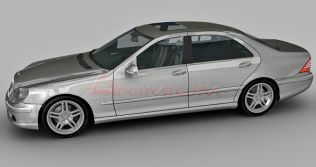 Exports 3d file in popular formats like Obj, X and B3d. Ability to render trees with alpha channels ( 2d trees as sprites ) which can be readily used in 3d scenes and game engines. 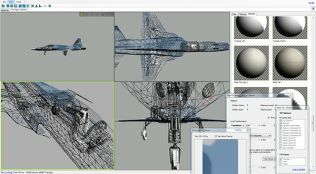 Viewport with wireframe and lighting support.